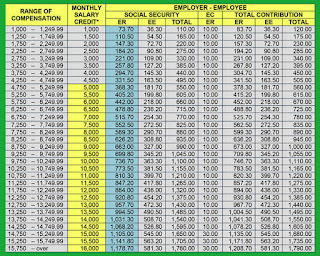 Since it is a new year, we have updated the Social Security System or SSS contribution table for 2019 so that employees, employers, OFW’s and members are aware of the monthly payments. 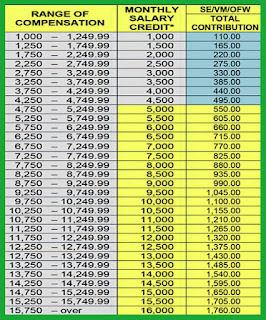 This is very important to the person in-charge or the one who handles the company reporting of the contribution to SSS. You can print this out and stick it on your office desk to serve as your quick reference every time you need to check the schedule for R3 reporting. 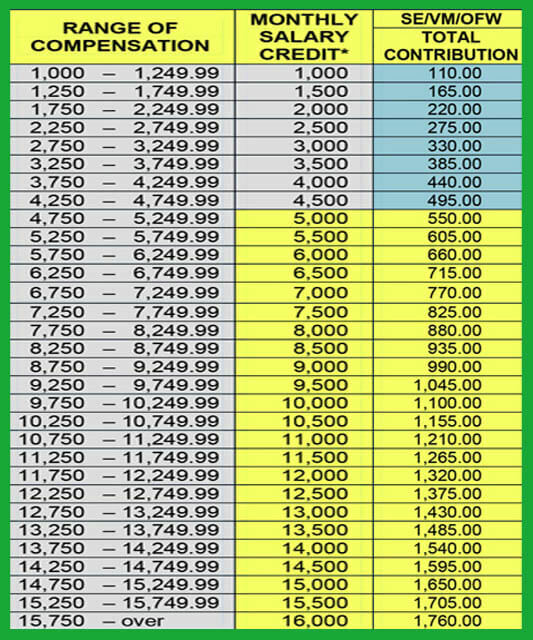 The maximum monthly salary credit is now at Php20,000.00 for employer-employee, self-employed, voluntary members and overseas Filipino workers. 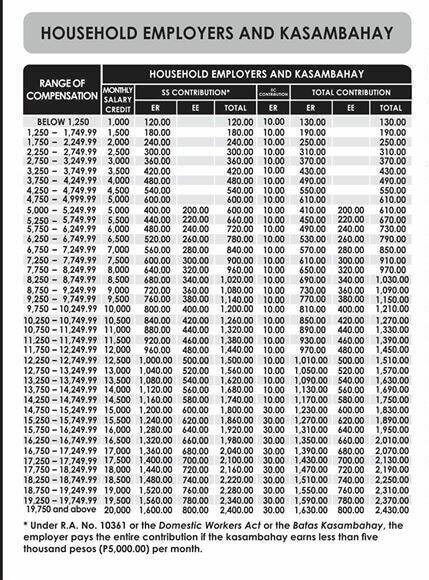 Here is the label to avoid confusions on below SSS table. 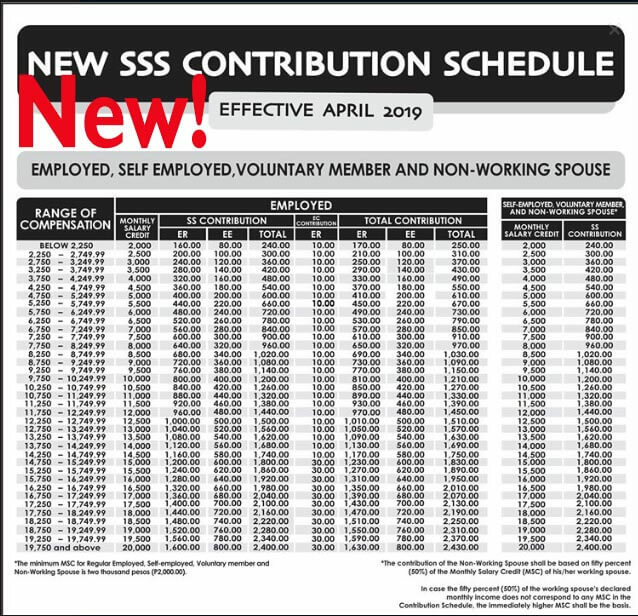 New SSS Contribution rate and schedule will be implemented for the applicable month of April and payable in May 2019. 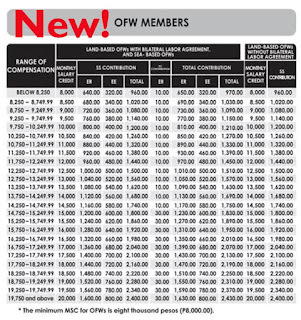 For those who want to view their monthly premiums paid online, you need to follow SSS online Registration. For those who want a PDF copy format you can easily convert the file using Adobe Acrobat reader or other online software converter. 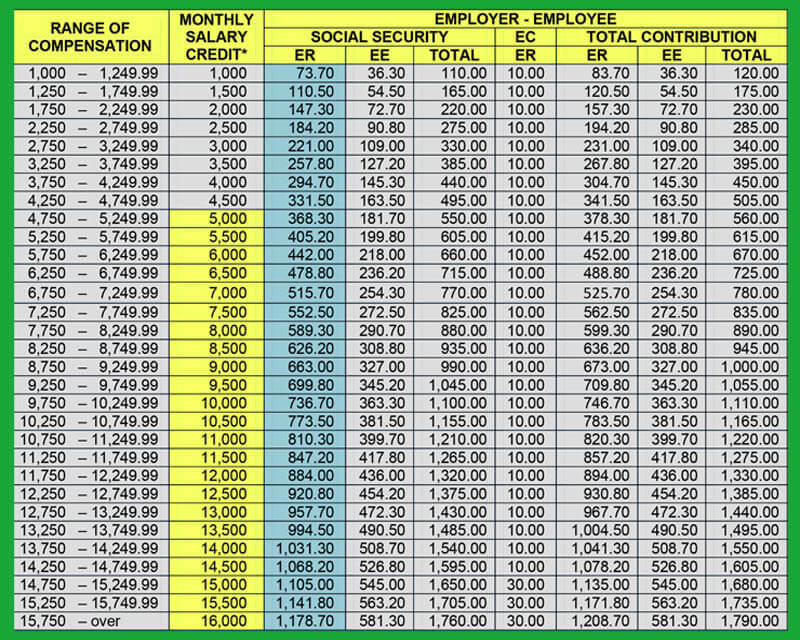 You can also download SSS Contribution Table in Excel format. 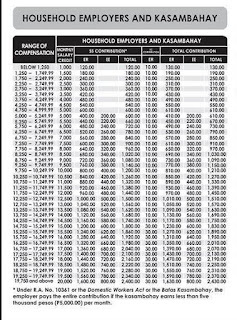 You can still visit your nearest SSS branch for confirmation or call their hotline /toll free for other inquiries regarding monthly schedule of contribution.